FREE 20 mins Initial Telephone Consultation to discuss your needs. Zari is a Therapist, Coach and Healer. She has been in the Wellness field since 2002 and is working with groups and individuals across the globe in intensive healing therapies, retreats and creative self-discovery processes. She is originally from Manchester, however her healing work has taken her to work with Wellness organisations in: Australia, Thailand, Bali, India, South America and Europe. 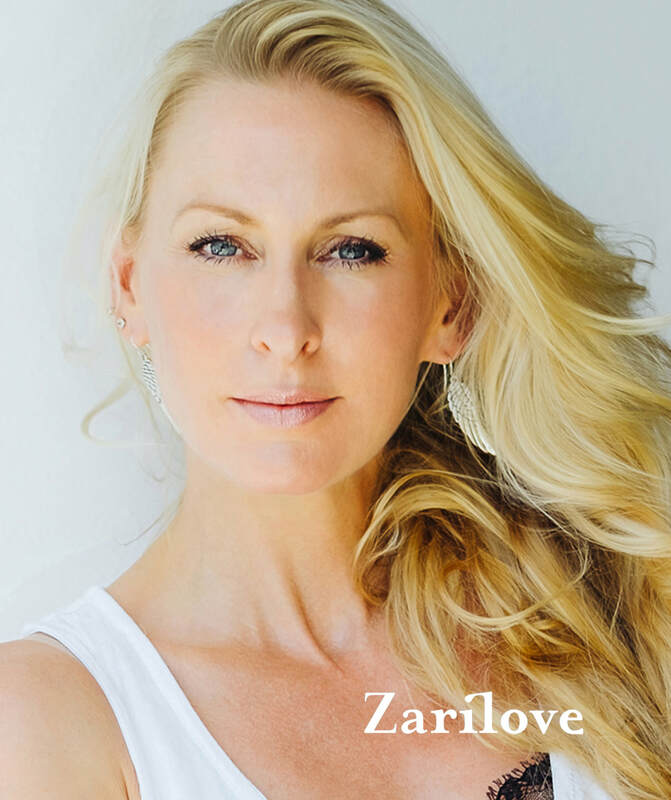 Zari holds a large repertoire of professional skills, qualifications and trainings, including: Hypnotherapy, Past Life therapy, EFT, NLP, Tai Chi, Meditation, Tantra, Art education and Therapy. In addition, she works with her own developed ‘Radical Healing’ technique, a unique fusion of clinical and spiritual re-connective practices. She is registered with the MDHA-Medical and Dental Hypnotherapy Association. The focus of her work is on self-love and healing through soul purification, inner resolutions and sacred reconnection at a core cellular level. Zari believes that by working on a soul level in the subconscious, the core root cause of our problems can be uncovered, un-earthed and healed at their origin. By replacing and forming new neuro-pathways and empowering programs, we can enable progressive, positive and healthy living. '‘The session helped me get rid of all the guilt I had built up over the years, be able to excuse myself and move on. Hence a lot of clarity about what I really want in life..."
- Julie Chuddleigh Doha, Qatar. UEA. School Teacher. Her signature healing technique- Radical Healing, is a 3 hour, deeply integrated, re-connective system developed by Zari, incorporating a variety of effective healing modalities, that work on a mental, emotional, energetic and soul level, such as: Hypnotherapy; EFT; NLP; Quantum healing; Soul Retrieval and Reconnection; Inner child healing Past life Regression therapy; Attachment Clearing and Aura cleansing and Spiritual Healing techniques. Unhealed events, negative behavioural patterns, memories, beliefs and unresolved trauma are all influencing factors that control our lives and obstruct our happiness and health. Mostly we are not consciously aware of what these are and where they stem from as they are buried so deep in the unconscious mind and cellular make-up of the body. Radical Healing can get to this deep level and allow people to find inner solutions, personal truth and freedom. Let go of the past and live now! Anxiety. Illnesses. Depression. Trauma. Past painful events. PTSD. Grief. Letting go and moving on. Childhood issues/events. Relationships. Empowered living. Achieving goals. Physical pain. Stress and Burnout. Mental & Emotional Rebalancing. Fears and phobias. Confidence. Spiritual Reconnection and Guidance. Behavioural Changes. Weight Loss. Career. Self Love. Turmoil. ..and anywhere else you may feel stuck and want to make changes in your life. 'Recently guided to Zari, I experienced a 3 hour radical healing session which was so powerful and deep I find it difficult to find words to explan how awesome it was. Following a phone consultation where I felt heard by Zari, I arrived for the session feeling scared (of what I could not articulate) and tearful. I was 'talked out' with conventional therapy and felt I need something deeper at a level my conscious mind could not access. Zari was the beautiful being who provided the key to open a door that had been closed for quite some time. Through breathing and in a deep hynoptic state I was guided by Zari to encounter and re-integrate parts of myself. I felt safe and protected at all times and totally in the right place. A shift has taken place within me. Prior to attending your initial consultation, you maybe be asked to complete and return an questionnaire, or partake in a telephone consultation to assist the sessions. Client confidentiality and professionalism is of the highest priority.